But consulting my list, I, too, wasn’t pleased! Manacéia and Lonato, and others too! To the Portela of days of yore. Scene from Ópera do Malandro. 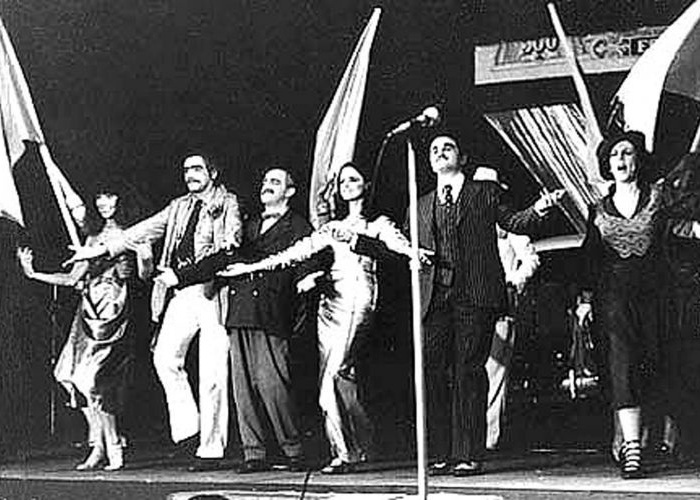 Pictured (L-R): Elba Ramalho, Tony Ferreira, Ari Fontoura, Marieta Severo, Otávio Augusto, and Maria Alice Vergueiro. 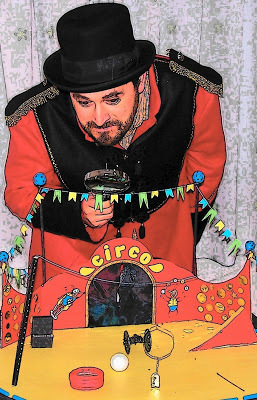 The song “Homenagem ao Malandro” is a nostalgic nod to old-time Lapa malandros, poking fun at the “orderly, professional” malandros that had come to replace the real thing. 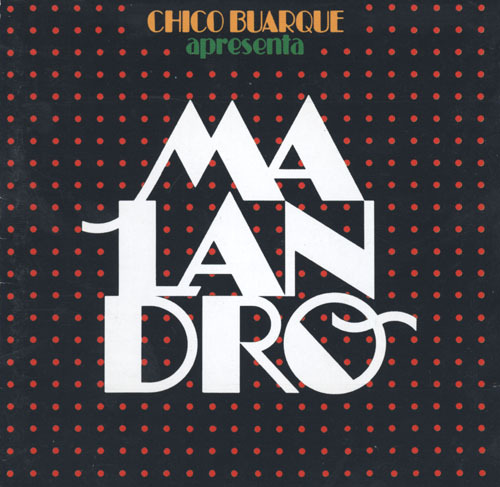 Album cover for the 1979 soundtrack to Ópera do Malandro. The musical was based on the satirical Beggar’s Opera (1728, John Gay) and the Three Penny Opera (1928, Bertolt Brecht and Kurt Weill), another adaptation of Gay’s Beggar’s Opera. 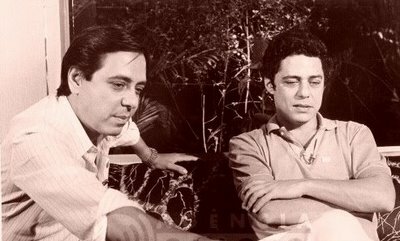 Chico composed fourteen new songs for the musical and the soundtrack was released the following year. A film adaptation was also released in 1986. The musical revealed a star, Elba Ramalho, and showcased Chico’s then-wife Marieta‘s singing talent. Legendary Portela sambista Monarco, now 81. Monarco, second from left, and Zeca Pagodinho, center, with Velha Guarda da Portela, c. late 80s. 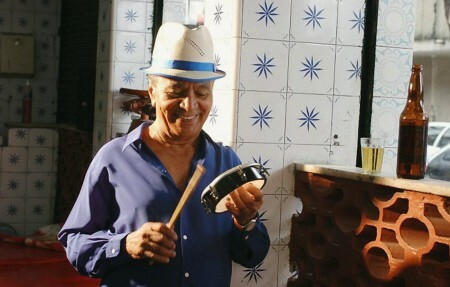 In 1986, Zeca Pagodinho released his first album, with Monarco’s song “Coração em desalinho,” a huge hit. Paulinho da Viola and Clara Nunes pictured at Pagode da Tia Doca, in Tia Doca’s yard. Monarco recalls that one Sunday he went to Portela and found none of his old composer companions there — only newfangled radio composers. 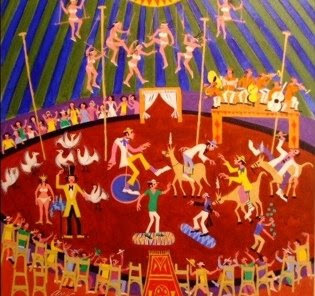 So he wrote this samba that responds to Chico’s song about Lapa, remarking that the samba schools suffered the same phenomenon. He refers to celebrated old guard sambistas, and the house he mentions — that unites “peace, love, and harmony” — was Tia Doca’s. 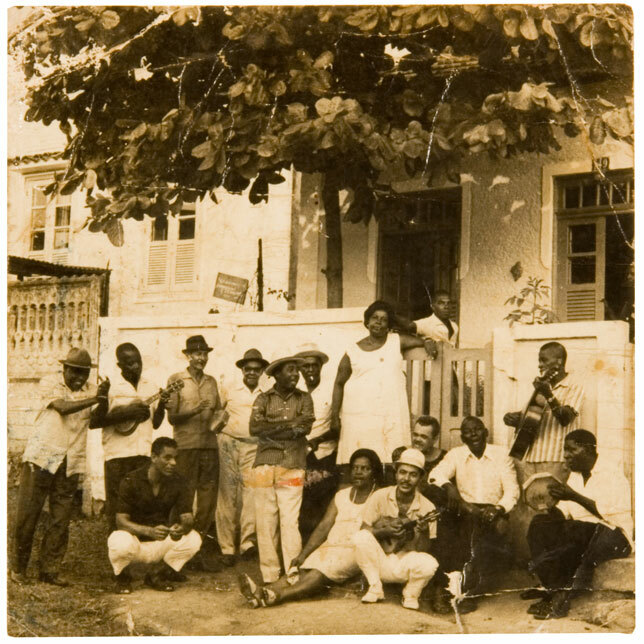 Tia Doca became a mainstay at Portela samba school in the 1950s after she married the composer Altaír Costa, son of Alvarenga, a founding member of Portela samba school. She became part of the Velha Guarda in 1970, and during these rough years for the school, she began hosting the famous “pagode da Tia Doca” on Sundays at her home in Oswaldo Cruz. Several star sambistas — including Zeca Pagodinho, Dudu Nobre, and Jovelina Perola Negra — got their start there. Monarco says Chico Buarque loved the song; he remembers Chico commenting that he thought the line “consulting my list…” was just great! 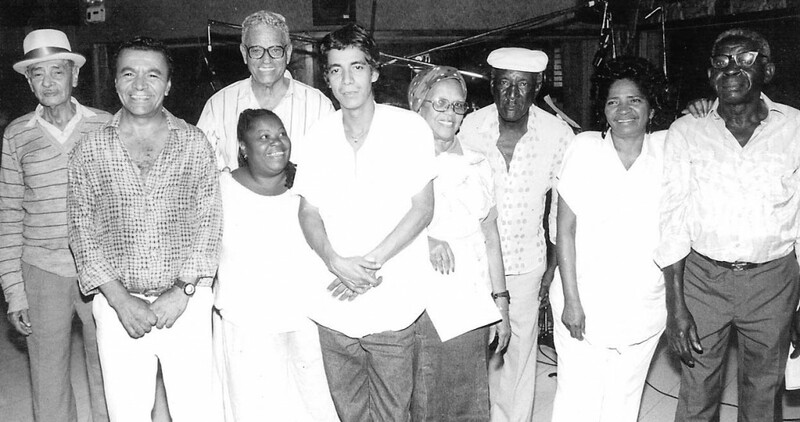 Monarco’s “Portela of days of yore”: Pictured, Lonato (standing with what looks like a tamborím), Monarco (crouching), Casquinha, Manaceia, Alcides Malandro, and others. 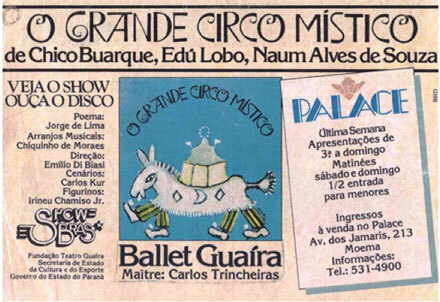 Edu Lobo composed the music for this waltz quickly, “certain it would turn out well”; Chico Buarque, on the other hand, labored over the lyrics, and “Beatriz” ended up being one of the last songs the pair completed for the soundtrack for the 1983 musical “O Grande Circo Místico,” a production by the dance company Balé Guaíra, from Paraná state. 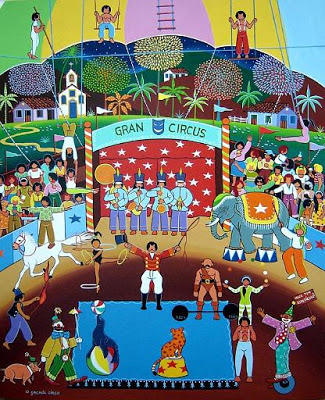 The show was based on the 1938 surrealist poem by the same name by Jorge de Lima; Lima’s poem had been inspired by the story of the Knie family circus, born of an unlikely love story in Austria in the 19th century. So the song became “Beatriz,” and Chico and Edu were certain “Beatriz” should be sung by Milton Nascimento because of the facility with which Nascimento can hit a wide range of notes and jump into falsetto, as the song demands. Milton recorded in the studio alone with the pianist Cristóvão Bastos, and the third take was the one they kept. Long after the recording was completed, Edu Lobo and Chico Buarque realized that by beautiful coincidence, the lowest note in the song falls on the word “chão” (ground) and the highest note, on “céu” (sky). “Futuros Amantes” was released on the 1993 album Paratodos. 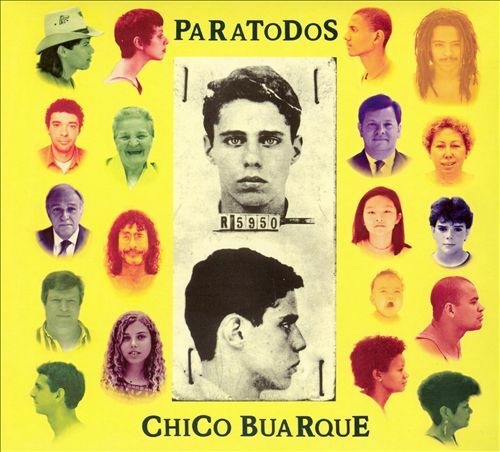 Chico’s mug shot on the album cover is from when he was arrested together with a friend in 1961, at age 17; the two were allegedly trying to take a car that wasn’t theirs for a joyride in São Paulo. 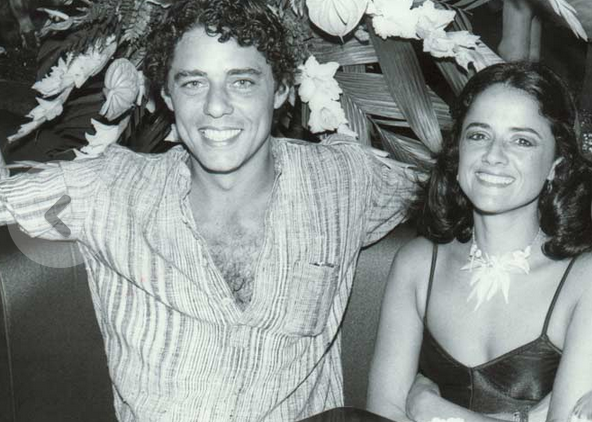 Chico with his wife Marieta in the 1980s. They were married for over thirty years and have three daughters together.